Anna Louise Hatfield Powell, 80, of Chillicothe went to be with her Lord and Savior on Saturday, March 31, 2018. She was born February 17, 1938 in Ross County, the daughter of Coleman and Vernie (Locklear) Hatfield, Sr. On May 11, 1970 she married Edwin Powell who preceded her in death on February 1, 1985. Surviving are daughters, Rebecca Hatfield, Chillicothe and Michelle (Charles) Dawson, Pataskala; sons, David Hatfield and Michael (Nichole) Powell, Chillicothe and Edwin (Kristi) Powell, Hillsboro; daughter-in-law Deanna Hatfield, Chillicothe; she leaves to cherish her memories numerous grandchildren and great grandchildren; sisters, Rosemary Wimbley and Betty Jean (Wendell) Cousins, Chillicothe; a brother, Glenn (Angel) Hatfield, IN; sisters-in-law, Nancy (Rudy) Britton and Linda Hatfield; brothers-in-law, Richard Austin and Scott Netter; special nieces, Kathy Wingo and Marta Branson; godmother, Edna Raney and a host of nieces, nephews, cousins and friends. 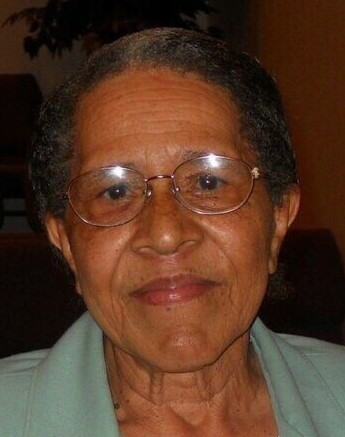 Her parents, a son, Ronald Hatfield, sisters, Opal Austin and Marilyn Netter, brothers, Coleman Jr., Fredrick, George and Joseph Hatfield preceded Anna in death. Anna was a member of the Zion Baptist Church. She was a retired employee of the Chillicothe City School system and Liberty Village. A Celebration of Anna’s life will be held at 1:00 pm on Thursday, April 5, 2018 in the Zion Baptist Church, 84 S. Clinton Rd., Chillicothe with Pastor J Troy Gray officiating. Burial will follow in Greenlawn Cemetery. The family will receive friends at the church from 11:00 am until the hour of service on Thursday. Memorial contributions may be made to the funeral home to assist the family. Anna’s family would like to thank everyone who has shown their love and support during this difficult time. The Fawcett Oliver Glass and Palmer Funeral Home are honored to serve Anna’s family.